2.Meanwhile, finely chop the parsley, mint and coriander and place in a large bowl. Thinly slice the spring onions and radishes and add to the bowl along with the lemon zest, juice and olive oil. 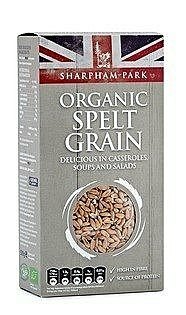 3.When cooled, tip the spelt into the bowl and combine all the ingredients together and season to taste. 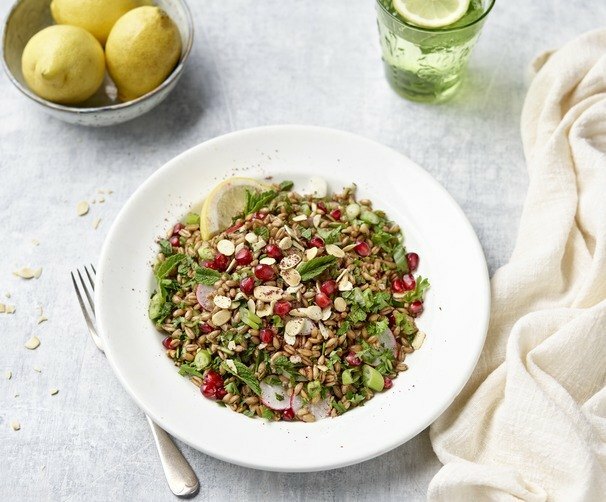 Spoon into a large serving bowl and sprinkle with a little sumac, toasted almonds and pomegranate seeds.